Is there any US location prettier in spring than the Washington DC Tidal Basin when the cherry blossoms bloom? I don’t think so. I fell in love with those pink petals some 16 years ago in Japan, so DC in April has been a long-time bucket list item. It never quite moved to reality until I started running and heard about this race. When I entered the lottery for this race, I was a very different runner. I hadn’t run more than 10K. I had no idea if I could, or even if I wanted to run ten miles but the lure of the cherry blossoms was a strong one. By the time the notifications were sent out, I’d run 15K and knew I could cover the additional .7 miles. Notification was actually anticlimactic, I got a notification from AMEX that my card had been charged without being present an hour or so before I got the email. Oops! 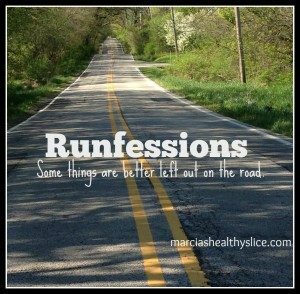 Although this run comes with a great training program beginning in January, I opted not to use it owing to recovery from the January Half Marathon and the plan to use this as a training run for Brooklyn. I began to question all of this in the corrals, but more on that later. Great banner at the Expo! I got to DC early Friday afternoon and after a flying visit to the National Portrait Gallery (hi, Obama portraits!) I dropped off my bag at my hotel and headed to the National Building Museum for the Expo. What a stunning building and fascinating history. I was thrilled to read that it was designed by Montgomery Meigs, a key figure in my last DC trip when I was reading Robert Poole’s On Hallowed Ground about the establishment of Arlington. The Expo was enormous, but simultaneously less chaotic than Fort Lauderdale’s. 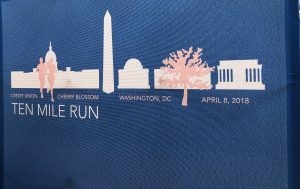 I really loved the race shirts! Bib and shirt pickup were easy and I subsequently meandered the floor to check out the vendors. One thing I’d struggled with packing for this “Runners’ Rite of Spring” was the weather. In fact, at one point the forecast was so bad an email from the race mentioned a possible cancellation. Yes, there was a good chance I’d have worse weather for this than the January Half Marathon! I packed tights and layers for on top, but I wasn’t confident in this so walked around to see if there were better options. I didn’t find any and decided to trust my gut. I was glad to subsequently read Deb Runs’ post and see that even way more experienced runners struggle with this for weird weather races. 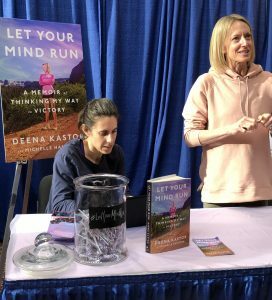 I was going to head out when the announcer mentioned that Deena Kastor was still there signing her upcoming book. I was excited by that as I’d planned to go to her NYC signing, but wasn’t sure I’d be able to. As I was about to ask the announcer which booth Kastor was at, I turned to my right. The line was short, and I decided to join it. Books weren’t available yet and I knew I’d have a copy waiting for me here, so I wasn’t sure if I’d get anything signed but was just happy to listen to her chat to others on line about the book and about Boston. It turned out that what Kastor was offering were bookplates which could subsequently be affixed to a copy of the book. I found her very down to earth and loved the note. Such good advice. Although I’ve been to DC three times in the last 5-6 years, it was in some ways my first racecation. When I go to Fort Lauderdale, I don’t sightsee beyond the hotel’s beach and pool. DC it was a real effort to try to curtail the sightseeing especially as the blossoms were out and Friday was the first good weather day in months. Saturday I was a little more organized and the only real sightseeing we did was the new African American Culture & History Museum before trying to ascertain where the start was. Although CUCB’s app is wonderful, their mapping leaves something to be desired especially due to the out of town runners this race draws. 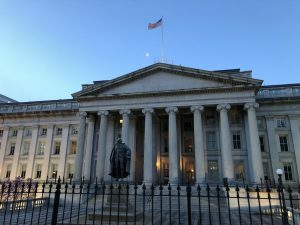 Once I knew the Metro wasn’t going to be running Sunday morning, I made the decision to stay in DC instead of in Arlington, where I normally am. 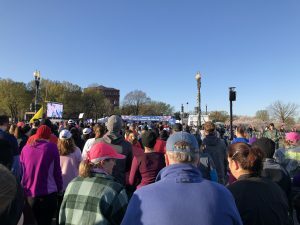 Being ~10-15m walk from the Mall was perfect as it meant the walk was a nice warmup on Sunday morning when Uber surge made that a no go. On the plus side, I mixed in some sightseeing as I wiggled around the White House. 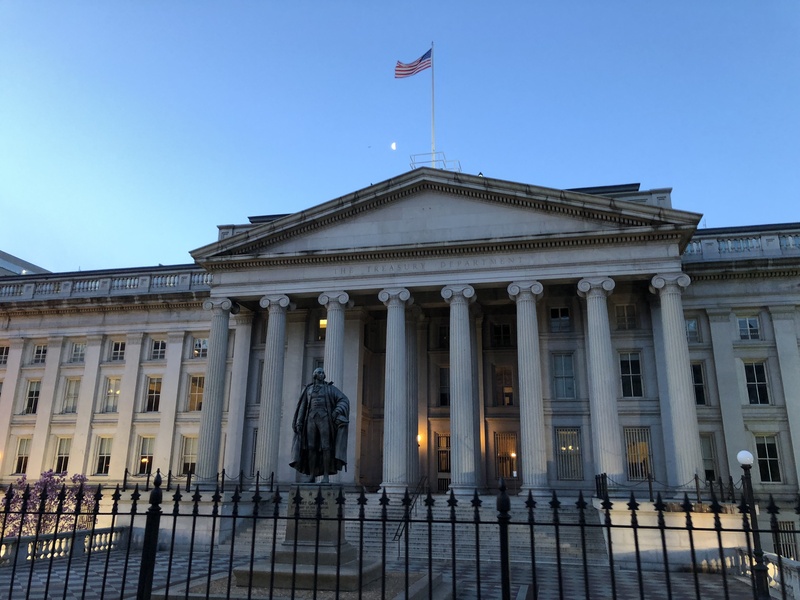 The Treasury is just such a stunning building and I found the White House paled in comparison. 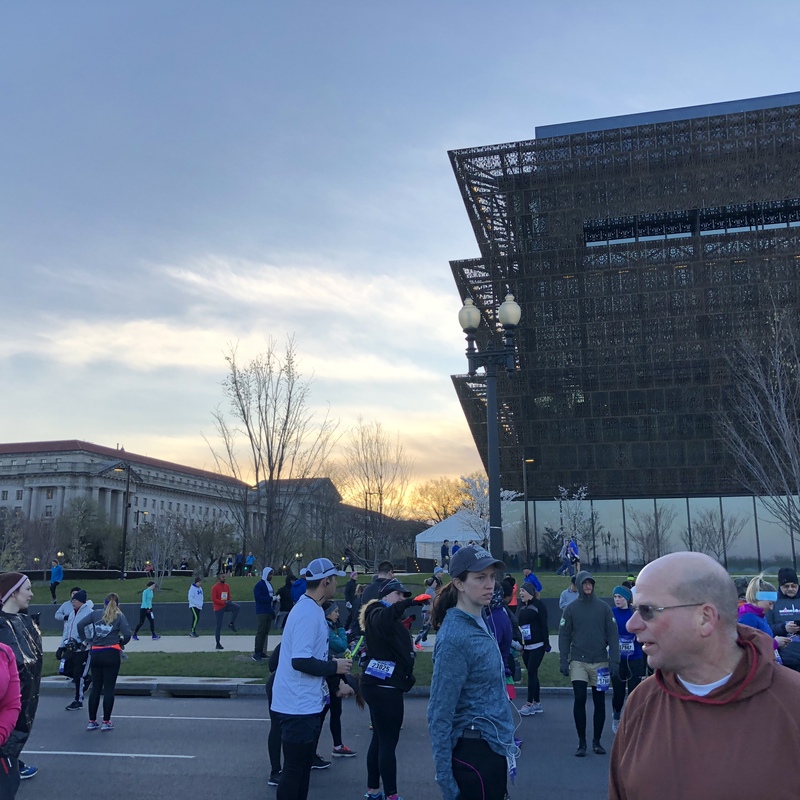 Sunday morning dawned bright and cold as we got into the corrals between the Washington Monument and the African American Museum. The sunrise was nice, albeit not very warm. Tights, tee shirt, long sleeve tee, hat and gloves worked well and I was cold but not freezing at the start and not too warm on the course, although I ended up taking off the gloves. 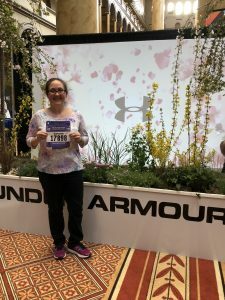 I realized when I thought about finding my pace group that because I hadn’t run the distance when I signed up for the lottery, they’d seeded me in the furthest back corral and the group I thought about joining was in the next one forward. I decided I’d just run and if I saw them, great. Best thing about the corral was I had the chance to meet up with another Run the Year runner who was in town for the race. She’s the first RTY person I’ve met, and that was fun. There were a few others in town, but we weren’t able to connect. Having someone to chat to made the time go faster and it seemed pretty quickly that they were moving us to the start. let’s get ready to mosey! who decided to end this on an uphill? 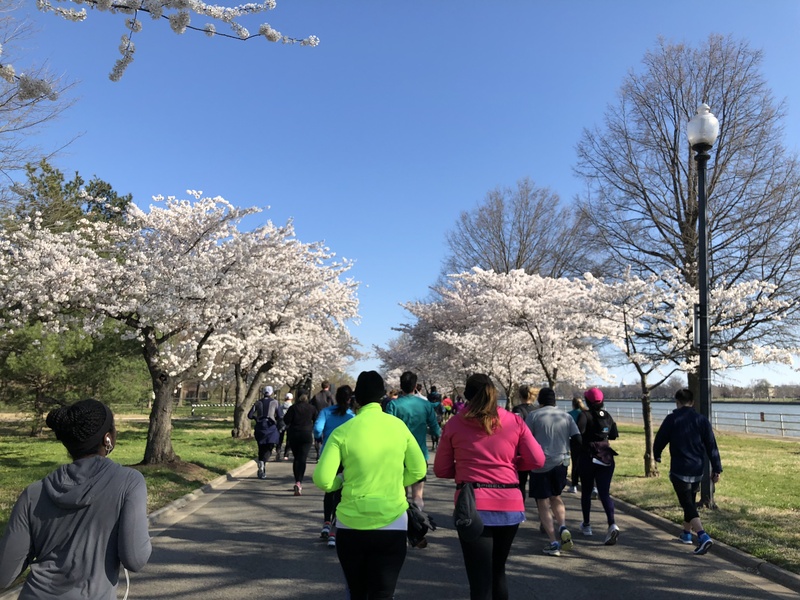 I’d been warned that good times were hard at the start due to the large field, and that was definitely true as we completed the out and back toward Kennedy Center. The course was slightly altered due to the Memorial Bridge closure but other than a tunnel underpass near the Kennedy Center, there wasn’t an inch of this course that wasn’t gorgeous, even the final uphill. The first two miles were slow but then I found my space and settled into my zone. Yep, post race ham is mandatory as I wandered over to the staging grounds to get the medal before heading to meet a friend for breakfast. It was really too chilly to linger longer. 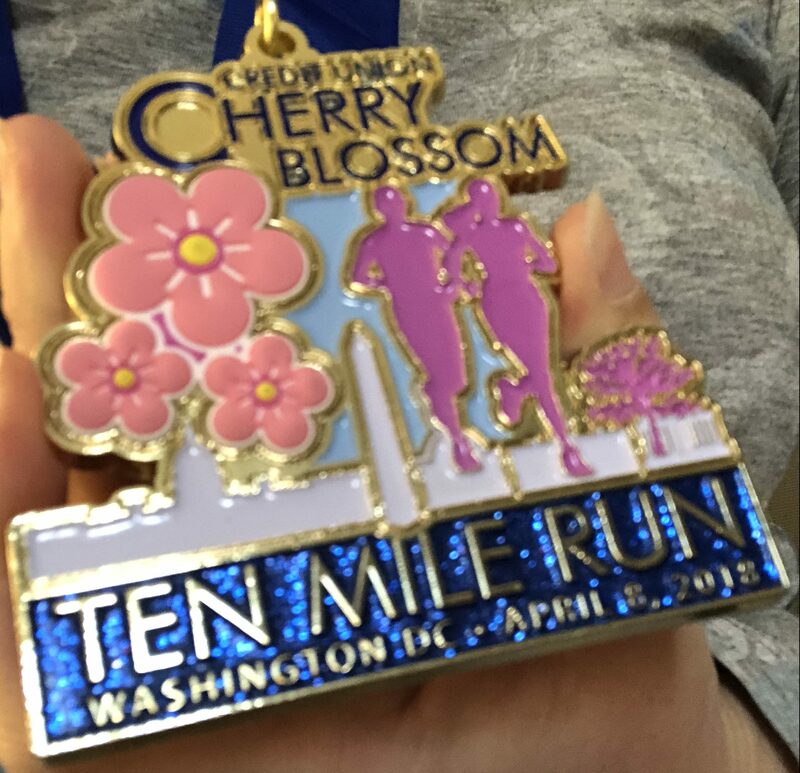 I was surprised at how cheap the Cherry Blossom 10 Miler is, at only $45. I opted to upgrade to the tech shirt and buy a medal. I like that they had ala carte options to keep the base cheaper and more accessible to all. I really loved the tech shirt (and that I needed to swap it for a smaller size!) and while I didn’t love it at first, the medal grew on me. 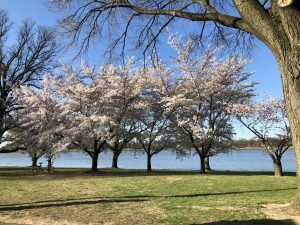 As someone who loves cherry blossoms, I’m so glad I got to experience DC at this time. Would I do this race again? Undecided. 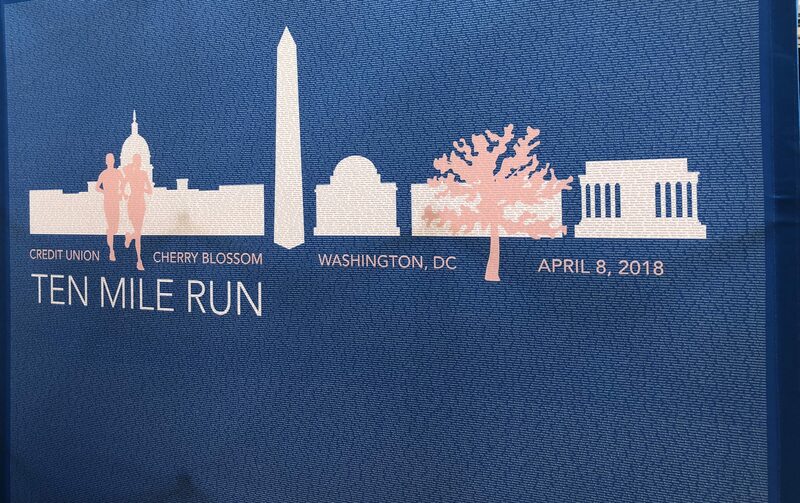 The race itself is cheap but DC is an expensive city with hotel rates especially so for cherry blossoms. 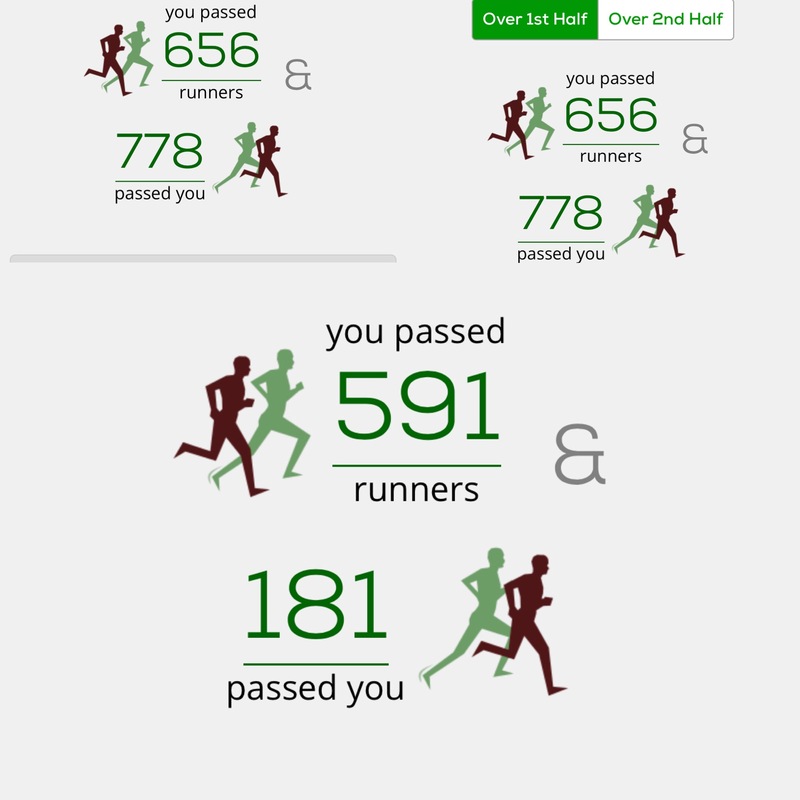 Part of me thinks I’d rather spend the same amount (or less) to do a different race, maybe in a new to me location. I’m also intrigued by the Philly Hot Chocolate 15K, which is the same weekend and another great city. Decisions, decisions. So definite maybe, but through no fault of the race itself. It’s really well done and I can see why it’s so popular. For others’ thoughts on the #CUCB2018, check the official LinkUp. recovery went well. 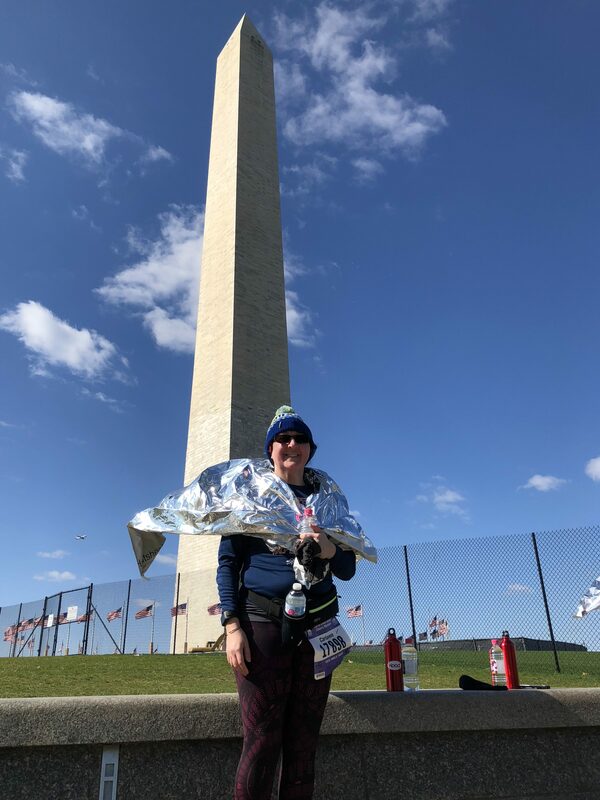 I was slightly sore coming off the three-hour train ride that night, but that could have had as much to do with the subsequent walk all over DC as the run. I couldn’t believe I was up for that! More to come on that when I’m done editing photos. Took an Advil as I walked and then when I went to bed, but woke Monday 99% fine. I took Monday and Tuesday off running but went to the gym Monday to use their foam roller. I ran Wednesday short to shake out the legs and this morning outside for 3.5 fast (for me) miles and I’m good to go. When I went to Deena Kastor’s NYC book signing at Road Runners on Tuesday I saw the shirts for the SHAPE Half and they’re purple! I won’t lie, I love them and kind of wish I were running Sunday (although not now that I see the weather). But I know not running it on those hills was the smarter move as I train for Brooklyn (5/19). The plan is 10K this weekend, 15K the following two before a TBD as I’m away 5/6 when the taper should start. I’m still not familiar with the course, but I’m hoping to get below 2h40. I think the training will get me there. 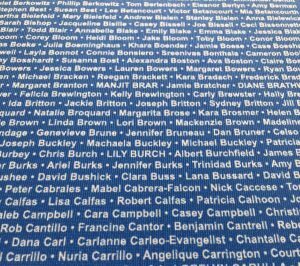 Why I’m doing a 10K Saturday is less post-race soreness and more because I did sign up for Damon Runyon again and that’s Sunday. While I don’t think it will be the hot mess last years was, the stairs are challenging and going into them with tired legs isn’t smart. I know the GPS won’t work at the indoor start so may do this one without a watch and just go with their timing again. Deena Kastor in New York was amazing, and I’m loving what I’ve read so far of her book. She claimed to remember me from the Expo and asked how my run went. That felt awesome. I’ll definitely review the book here when I’m done. I’m hoping she leads the Masters’ field on Monday, and I love that I’m excited about Boston. Although I don’t think she will, I’d love to see Shalane Flanagan win. 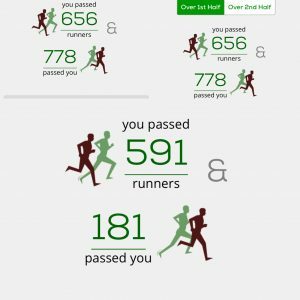 I should hit 200 miles run on the year this year. I’m really pleased with that. Brilliant race report and what fantastic trees – lovely! I love your medal, too. You did so well to get under 2 hours, too. I’ve not done a 10 mile race ever, seems like a nice distance. Go you! I think the reason 10 miles seems such a big deal is the double digits. Even though it’s barely more than my 15K loop (which is quite 15K-ish), it feels like so much more. Yet this time ten miles didn’t seem far. I get the impression neither distance is super common since I imagine Half to be a sexier sell. Thank you! Hi! Sure, I’ll shoot an email tomorrow or early next week. I think the map is great for locals who know the course, but landmarks for those of us who don’t would be super helpful. Like when I realized the corrals were between African American Heritage Museum & Washington Monument it all clicked. I think the issue with the map is just that it doesn’t expand large enough to get a feel for where you are vs. other things. Possible maybe to do an overlay with google maps or something? That said — amazing race team and I had a fabulous experience. Can see why it’s such a bucket list race. What a great recap and congrats on checking another race off your bucket list! 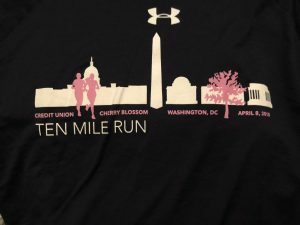 I’ve run the Cherry Blossom Ten Miler and actually PR’d the 10-mile distance there many years ago, back when it wasn’t so crowded and there were no corrals. I’ve never been to the expo because back then they had packet pickup on the morning of the race as well (it was on a table near the race start – can you imagine?). Bag drop was a little knee-high fence set up in a circle and you simply dropped your bag in it as you walked to the starting line. No one was there to guard it or inspect your bag because this was before 9/11. 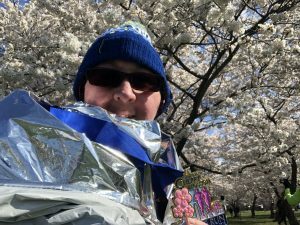 If you’re interested search for my recap (all five races are on one recap and you can access from my race recaps tab on my blog). How awesome that you met Deena Kastor and got her autograph. 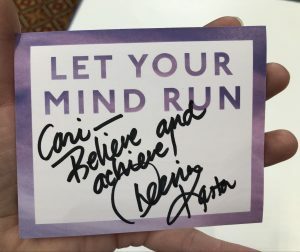 I love that she offered a book plate since her book wasn’t available to buy; and how lucky were you to get that since you already had her book on order! I’ve never had the pleasure of meeting her. Last night I finally finished my race recap from my 25K I ran last Saturday and have it set to publish on Tuesday. I had so many pictures to go through since my husband was shooting pictures, too. I’m glad my nervous weather stalking made you realize that you’re not alone (and thanks for the shoutout!). Deena is amazing. I know Wendy has read & loved her book. I’m wishing I hadn’t started one and had another library book in front of it, but can’t wait to read it.She really is amazing to listen to, makes it even easier to root for her to have success. Will go look for your recaps. 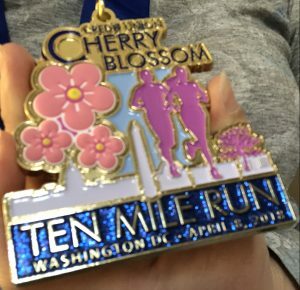 It sounds like Cherry Blossom has gone the way of the Brooklyn Half. 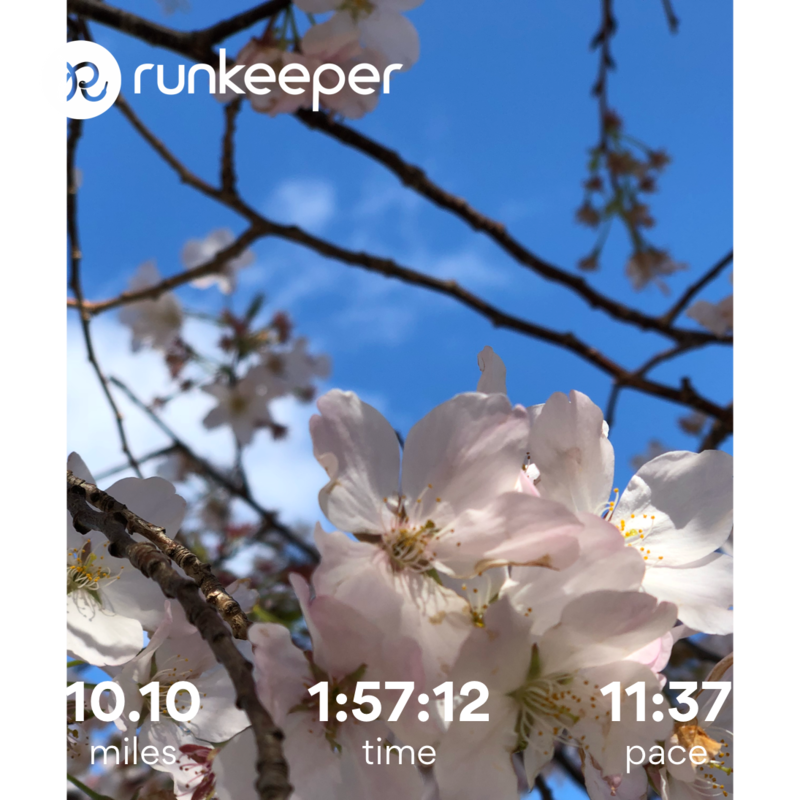 The Fred Lebow Half, the only other NYRR one I’ve done doesn’t do an expo- just number pickup but Brooklyn has gone the way of the NYC Half with off site expo and has a field of comparable size to Cherry Blossom. If you have the chance/interest, I recommend the Cherry Blossom Expo. What I like the most was the variety of what was on offer and the price points. If I’d decided I needed new outfit options, they could be had for reasonable prices. Friend bought new color of her standard running shoes. Can’t recall now if she said they were new to her color as well, but they were significantly cheaper than she otherwise finds them. I was happy to find my gel flavors, as I thought I’d forgotten mine (later found them in suitcase pocket). Corrals are an interesting thing for me — I love the military precision of NYRR’s starts. I’ve done some smaller ones where it doesn’t matter because the pack is essentially a corral, but mass starts like Fort Lauderdale are nerve wracking to me because I’m not sure where I’m meant to be. I may never get through my photos, but I’ll try my best 😀 I look forward to reading your recap, and catching up as I think I missed one from you this weel. I love that I get email notifications for your posts. I hadn’t yet read yours, but I saw it in my inbox earlier this week as I was writing this and was relived. Congrats! 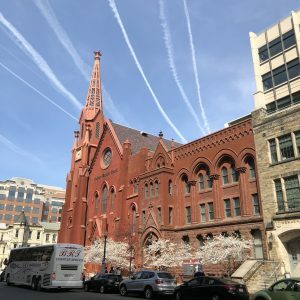 I would totally do this one–I have never been to DC, can you believe it? You know I”m jealous that you met Deena. Her book is amazing. 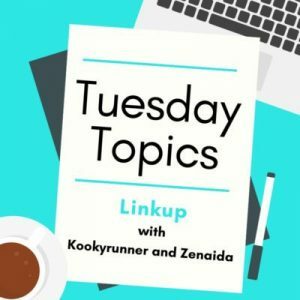 PS you should link up with our Weekly Wrap! Wendy, DC is a amazing. Enter the lottery for this race if your schedule allows. It’s absolutely worth the travel costs. 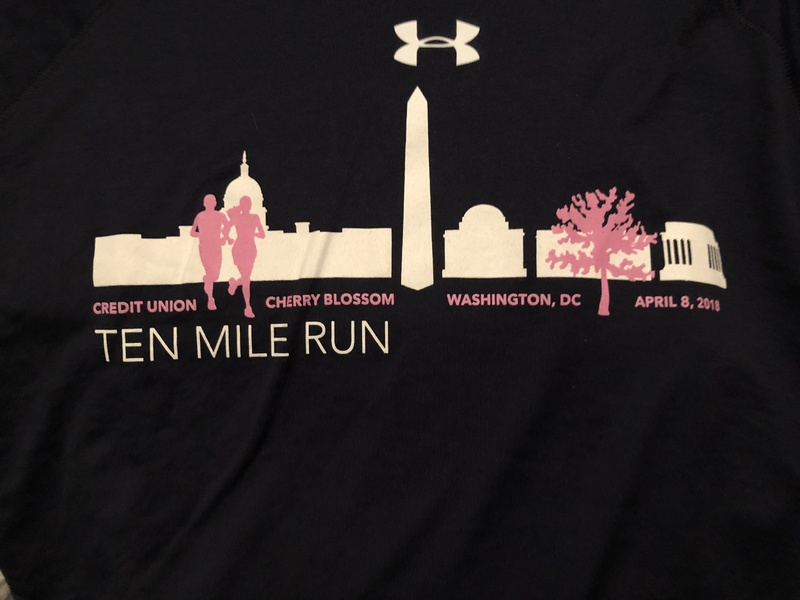 Marine Corps is amazing for spectating too and believe they have distances below the full, I just know from when my sister in law ran a few years ago. I hadn’t been as an adult until a few years ago and have now been back three times. I’m a museum vulture, so the quantity and price point (most free) make it a no brainer for me. 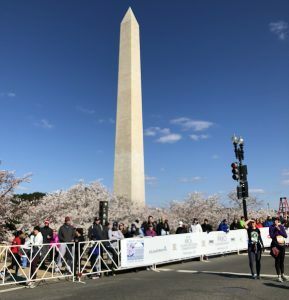 Pairing it with a race & finally ticking cherry blossoms off my list? Win win. I’ll look into the linkup, thanks! Assume I shouldn’t do it retroactively, but rather in fresh post for next week? Other than the cold, this year was a spectacular year to run this course. 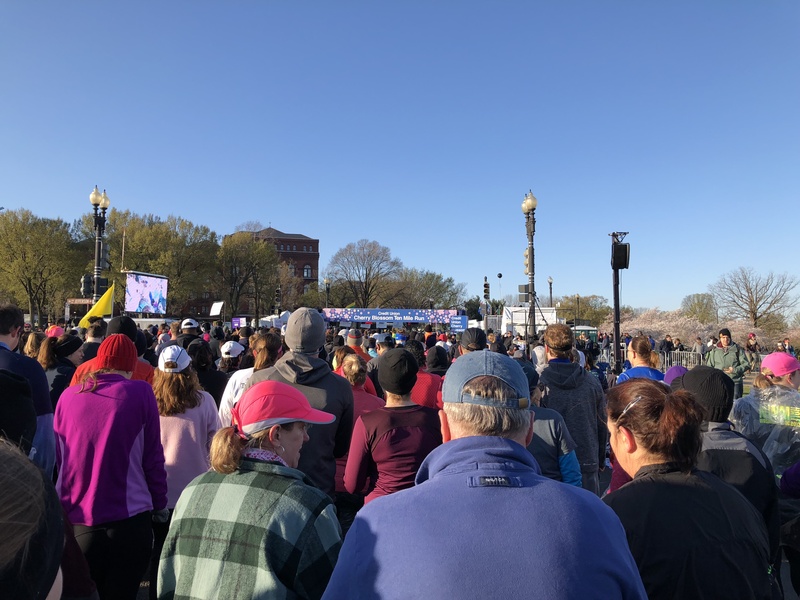 I was supposed to be in the purple corral as well (based on my terrible 2:14 finish last year) but ended up joining a pace group in the green corral. I think that was a good move for me. 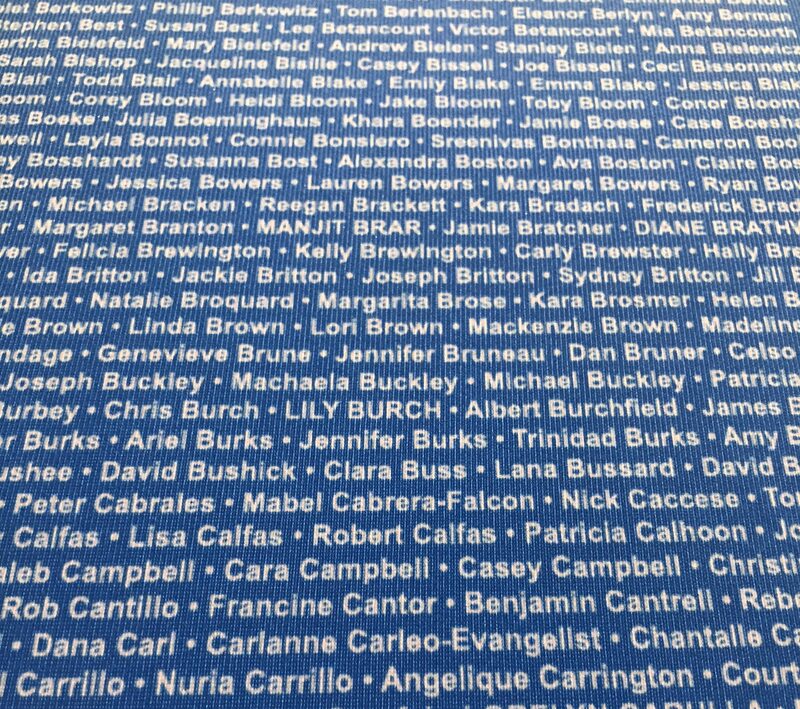 ps: I’m doing the Brooklyn half too! !